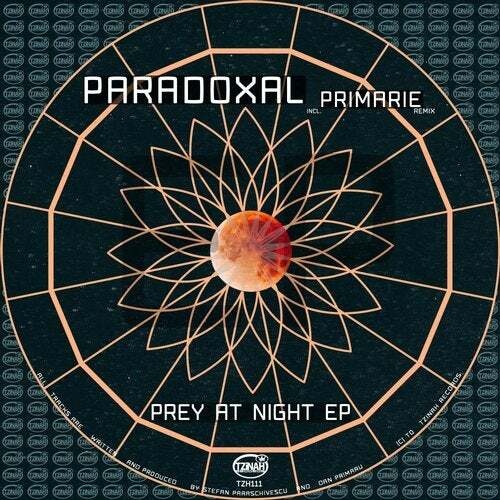 Paradoxal - Prey at Night EP [TZH111] incl. Primarie is supported by Richie Hawtin, Marco Carola, Danny Tenaglia, Cesar Merveille, Paco Osuna, Vinyl Speed Adjust, Deaf Pillow, Archie Hamilton, Gel Abril, Iuly.B, Mountain People, Suolo, Brett Jacobs, Gorbani, G76, Petar Cvetkovic, David Gtronic, vlf, Daniel Broesecke, Vincent Casanova, Miroloja and many more! Thank you!